The story is told of military training (whether true, or no, is immaterial–the principles are sound) wherein the new soldiers are placed in a simulation. 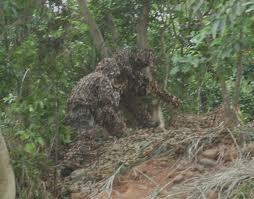 Within the war game being played, they are told that three snipers are crawling towards them through tall grass. The snipers are live soldiers who have been trained for their role in the exercise; the “bullets” to be fired are blanks. As the defenders wait for the attack, a figure pops up across the field suddenly and is fired upon with full force. Closer to the defenders, another attacker pops up and the newbies direct their attention to the target. Immediately thereafter, the entire platoon is taken out by hand grenades thrown by the third attacker, who had been sneaking towards them and was able to obtain a close position undetected. Because the platoon failed to recognize the immediate threat closest to them they lost an insignificant, yet instructive battle. Similarly, as business owners and managers, we have as our most important target the existing customer base. If these folks go somewhere else, collectively they can “upset the apple cart” of business success. Since most businesses don’t have an offering that is clearly superior to the competition, they must focus on how they provide goods or services as a differentiator. If your organization has a great quality control system to make sure jobs are done to standard and timely, but the customer is not aware of your system, you are missing a great opportunity to connect with what’s truly important. Or, maybe your efforts to simplify the ordering process have not seen the return you hoped because the customer doesn’t yet know. Educating customers about what they are receiving for the money is good business! Ike Behar is in the men’s clothing business. While this line of work, like many, faces pressures from abroad and tries to avoid commoditization, the way the company differentiates itself is far from apathetic. Taken from some of its promotional materials about men’s dress shirts, the statements below will show you: a.) how Behar stakes a claim for competitive advantage and b.) the type things you need to be able to say about your business that will matter to a prospect. There are 52 steps involved in making one of our shirts. Each shirt sports an authentic split yoke, removable collar stays, and button sleeve pocket. Handkerchief-rolled seams. This tailoring technique prevents puckering and produces and elegantly finished shirt, with added durability. Buttons. We carefully match our buttons–ranging from mother-of-pearl to unbreakable plastic–to complement the fabric and style of each shirt. A spare button is sown into the tail of every shirt. You can see the threat in the grass, but what are you going to do?